"Stephens' important and timely book provides an urgently needed and insightful synthesis of the previously fragmented field of community health psychology. A wide range of case material from both rich and poor countries is framed within a skilfully articulated set of debates around core issues of theory, practice, research and ethics. 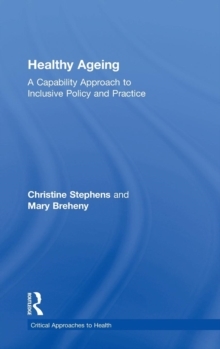 This text should be compulsory reading for all practitioners and students of health promotion. "Professor Catherine Campbell, Health, Community and Development Group, London School of EconomicsCan the health of individuals be improved through community health programmes?How can community health promotion programmes be more effective?How is health awareness measured and evaluated?In recent years, health promoters have focused their attention not just on individual lifestyle change, but on daily social and physical conditions that surround the individual. They are now looking towards lifestyle change based on community or socially-based interventions. 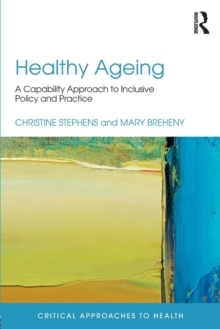 Examining theories from a critical and values oriented perspective, it looks at current theories of health and health promotion, and discusses why health inequalities exist. The book includes a practical grounding, using examples of community health promotion practice, such as community arts and local community models, based on material and research from Britain, New Zealand, Canada, the USA and South America. The media's role in health promotion is also investigated, drawing on current media theory and examining media representation and the public's interpretative response. 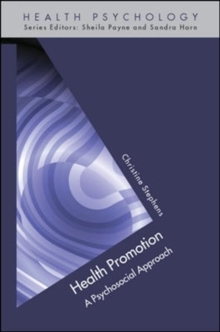 Issues surrounding the evaluation of health promotion programmes are also discussed.Health Promotion: A Psychosocial Approach provides a critical and theoretical basis for practice in social and community approaches to health promotion. It is key reading for postgraduate students of health psychology or community psychology, as well as qualified practitioners in public health areas who are developing theory based community programmes.